Experience calmness, clarity and internal peace. Achieve harmony of body and mind. Originally in China it was taught as a martial art and it’s been more recently introduced in North America as a system of exercises for improved health, mobility, flexibility, balance and relaxation. The therapeutic benefits of Tai Chi are many, and when taught properly it also has a profound impact on the mind helping students improve their concentration and experience lower stress. Teacher with 40 years of experience and 30 time gold medalist internationally. Disciple of Grand Master Yang Jun, lineage holder of the Yang Family Tai Chi Chuan style. Get support and guidance in your learning. Over the last 40 years Master Sergio Arione has met more than 15,000 students one by one before starting their Tai Chi classes. Activates over 720 moving and stabilizing muscles important for balance and mobility helping prevent falls among seniors. Improved concentration and coordination. Over 25 classes on weekly basis tailored to different age groups, levels of skill and medical needs that create an enjoyable and pleasant environment for all the students. Special attention and preventive measures are in place to avoid any injury. Teacher are continually making sure everyone can benefit as much as possible from their class. Provides an immediate relaxation effect and gradually becomes a “meditation in motion.” Great source of stress reduction, calmness, clarity and peace of mind. Get 3 months free when you join for a year! The Tai Chi Chuan style that we teach is known as the traditional Yang family-style. Along with it’s many variations it’s currently the most popular and widely practised style in the world today. It’s also the second oldest style among the main five family styles. The classes we provide are without any changes or additions to the forms and style. We teach in the pure and pristine fashion as it was taught in China by the Yang Family for generations because the teaching method is important to prevent injuries and to draw the maximum therapeutic benefits. 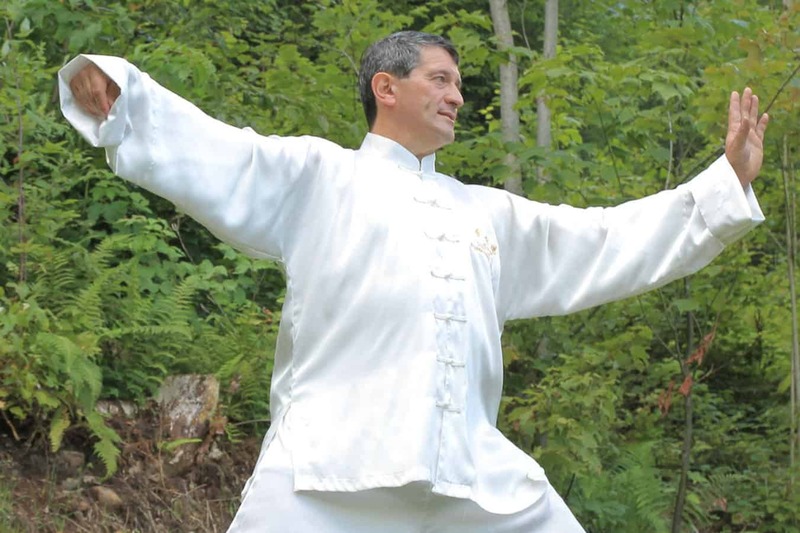 Sergio Arione is the head instructor at Tai Chi Montreal and has been practicing Tai Chi for more than 40 years, winning gold 30 times in international events. He is a disciple of Grand Master Yang Jun, lineage holder of the Yang Family Tai Chi Chuan and 6th generation direct descendant from the legendary founder of the Yang Family Tai Chi Chuan, Grand Master Yang Lu Chan. He has been teaching in Montreal and abroad for more than a third of a century and his passion for the art and to help people inspired him to teach more than 38,000 hours of Tai Chi classes. Everybody can learn Tai Chi regardless of his or her age and physical abilities. Every student learns to practice within his or her natural range of motion which is why we offer separate classes for different age groups and students with different levels of skill. Since 1988 we have been offering Tai Chi in Montreal’s West Island with instructors that learned directly from the lineage holders. As a result we provide our students with tested teaching methods that bring to class the many centuries of development and evolution of the art.